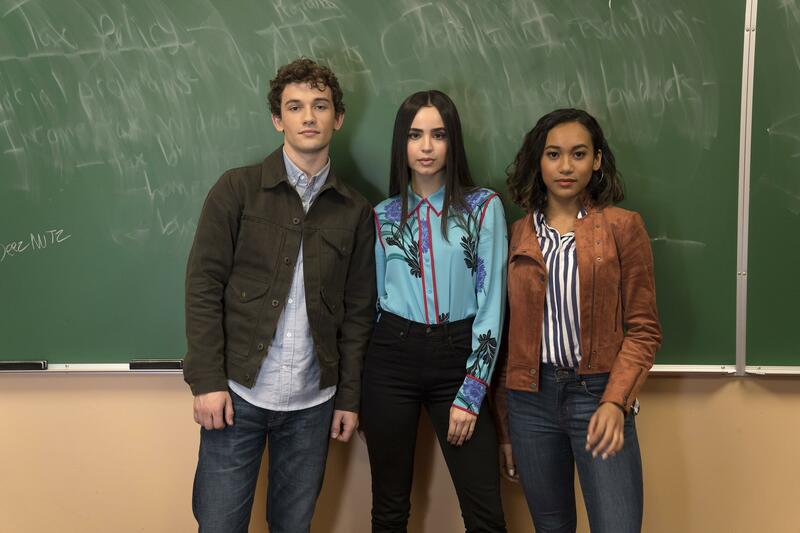 Freeform’s “Pretty Little Liars: The Perfectionists” stars Eli Brown as Dylan, Sofia Carson as Ava, and Sydney Park as Caitlyn. Original executive producer I. Marlene King is behind the new project, which will feature two faces familiar to fans of the show — Sasha Pieterse and Janel Parrish, who will reprise their roles as Sasha and Mona. The new series, about three overachieving college friends whose town is rocked by a murder, will star Sofia Carson (Disney’s “Descendants”), Sydney Park (“The Walking Dead”) as Caitlin, newcomer Eli Brown as Dylan. Graeme Thomas King (“The Widow”) as Jeremy, Kelly Rutherford (“Gossip Girl”) as Claire, and Hayley Erin (“General Hospital”) in an undisclosed role. “The Perfectionists” is based on a popular book series by Sara Shepard, who also wrote the “Pretty Little Liars” series of books.